Giga Paitchadze, better known online as DvOrsky, is no stranger to the Caucasus section of Global Voices Online. 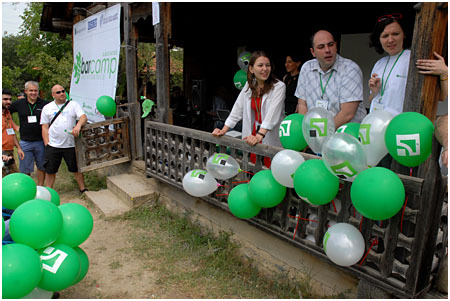 In June last year, Paitchadze spoke about the Caucasus BarCamp held in Tbilisi, and a few months later about the role of new media during the August war with Russia. In the second of a series of audio interviews with bloggers in or dealing with the South Caucasus, Paitchadze updates Global Voices Online on the development of new media in Georgia in the aftermath of the conflict as well as the recent opposition protests in April. Unfortunately, the Skype connection was not the best and one part plagued with clicks making it inaudible had to be edited out. However, most of the interview is available to listen to or download below. Paitchadze's blog is at http://www.dgiuri.com [GE].